By Iya Bekondo-Granatella, Founder of the Iya Foundation Inc. Within my mind, it was already determined that I would be pursuing another degree in order to fully leverage the potential of my life purpose. 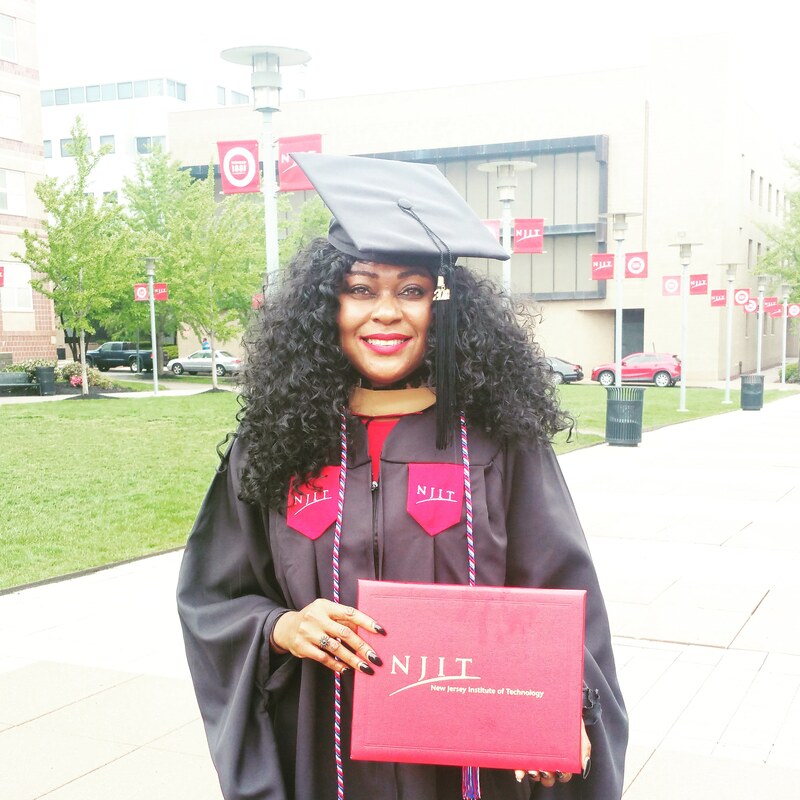 My thoughts wrestled on what direction to take – Nursing, Doctor of Pharmacy (PharmD), Jurist Doctor (JD), Doctor of Medicine (MD), Master in Public Health (MPH) and a Master in Business Administration (MBA) were the options on my short list. With a graduate degree in Pharmaceutical Systems Management already in place, and a Certified Business Intelligence Analyst, I was quite comfortable with where I was in my career path. Not only was I thriving in my everyday hustle to pay the bills, I was also doing quite well on my predestined purpose as a humanitarian and health advocate. Question then was, why pursue another graduate degree? Short answer would be a change in career. However, let’s look at the long and maybe more complex answer. My name is Iya Bekondo-Granatella, and I am a kidney transplant recipient. I work as a business analyst from 9am-5pm on weekdays, and as an entrepreneur and humanitarian 24/7. My self-declared life purpose is to Encourage, Empower, and Enable End Stage Renal Disease (ESRD) patients, and at the same time promote public health through sensitization of all things kidney and organ donation. The Iya Foundation Inc is a nonprofit organization founded by myself, to serve as a platform in accomplishing this life purpose. As I grew in my career and purpose, it became extremely important for me to align and possibly merge both paths in such a way that I could still continue to positively Engage, Change, and Impact without losing value on either of them. 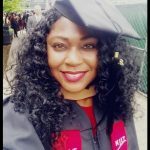 Identifying what I needed and wanted to gain from another degree, as well as additional research and brainstorming helped me narrow my already short list to Nursing, JD, MD, and MBA. I spoke to a few experts on the different fields, and the one that gave me that aha moment was my conversation with my nephrologist, Dr. Toros Kapoian. He made me understand that, I didn’t need to be directly involved with clinical care in order to trigger and initiate change the way I wanted to. Also, with time being a huge factor and with my sometimes overzealous ambitions, nursing for me would mean going all the way to doctorate, while a doctorate degree in Medicine would require redoing academic prerequisites; both of which would need at least 7yrs to get to where I would love to be. I decided within myself that I didn’t have that time; hence I eliminated the idea of pursuing a degree in Nursing and /or Medicine. A Master in Public Health sounded exciting and was right in line with my aspirations, but in my opinion was too limiting. I had since eliminated the idea of pursuing a doctorate in pharmacy. Left with the MBA and JD options, I had to make a list of my priorities again, and this time, I also made a list of where I saw myself career wise and The Iya Foundation in five years. My focus, I have to say had slowly evolved to how do I make the most IMPACT using The Iya Foundation as a platform? What would be my scope, who did I want to impact the most, how was I going to get it done; and the why had already been answered. At this point, while I cherished the idea of a JD, it was clear to me it was more from a personal gratification perspective and wouldn’t necessarily satisfy my short term career needs, although, I still see it in my long term goals. Through critical thinking, research, and using the process of elimination it became crystal clear to me that an MBA would help me answer all the W’s as well as EQUIP me with the tools I needed to leverage The Iya Foundation’s Resources. I had made up my mind and I had a decision in hand. I would pursue a second graduate degree in Business Administration. With an MBA, I would garner the skills needed to combine my career and purpose. I would learn what it entails to become an executive in my day job, as well as academically prepare myself to become a better Service Leader. I needed to empower myself as such. By successfully completing this Executive MBA program, not only did I hone my skills in Strategic Management, Corporate Governance, Marketing, Corporate Communications; develop a better understanding of Personal and Corporate Finance, I also learned the future of business through Information Systems, Data Analytics, and the genius of Artificial Intelligence. Above all, and what I personally cherish as an accomplishment out of this program, is the opportunity to fine tune my public speaking abilities. I tend to believe, I am a better writer than I am a speaker, or better yet public speaker. YES, I do have stage fright . With the many presentations during the course of this program, I was able to evolve from fair to good presenter. I am still a work-in-progress when it comes to public speaking, and that is ok. Slowly but surely, I’ll get over this fear of public speaking to make the most of my intent to transfer knowledge for the betterment of our communities. As you can see, it took a lot of research, critical thinking, time, and decision making in deciding to pursue this degree. I’ve taken my time to write this piece on my personal experience and decision to pursuing an MBA not only to inspire someone, but also to encourage you to GO FOR IT. IT could be anything. Starting a new business venture, travelling the world, cutting all your hair, or as in my case; going back to school. If decisions were so easy, most MBA programs wouldn’t incorporate it so much in their coursework. Decision making and analysis is a huge component of our daily lives and is integral in strategic planning and business. To my juniors, and to you who’s reading this, don’t get scared of the bigger picture and all the obstacles it may encompass; instead use your current situation and resources as a reference point, then identify and analyze the not so obvious answers, hints and trends that could link you to attaining the most out of your career and life purpose. This will result in a successful balance of both worlds. With an MBA behind my name, and all that I’ve learnt, I not only see myself as a better Business Intelligence Analyst and Manager who would add value to any company, but also as a Positive Disruptor for change in the kidney industry in Africa. With a holisticapproach, I intend to, through the Special Grace of God, impact the lives of ESRD patients in an innovative yet exhilarating way. At the end of the day, and the very basis of my aspirations, is the desire to sprinkle a little dust of HOPE, FAITH, REASSURANCE and plenty of SUNSHINE and SMILES to an ESRD patient. This MBA degree is dedicated to my nieces and nephews, The Iya Foundation, to you who have been having a hard time deciding on how to take that leap to accomplishing your next goal, and to any chronically ill person, because you too can do it. Thanks to everyone who encouraged and supported me in accomplishing this degree. With so many active aspects of my life running concurrently to studying for an MBA, it was definitely a tedious and hectic journey to the finish point. BUT, it was all worth it, and the end feeling, feels extra sweet. Cheers to the completion of this milestone, and to the 2018 class of EMBA2-NJIT. God is Faithful. All Glory to God Almighty.